Recently Mr K and I took a mammoth Road Trip through the whole dirty south, so for the next couple of months I’ll be sharing some of the fun stuff we got up to, among other things. 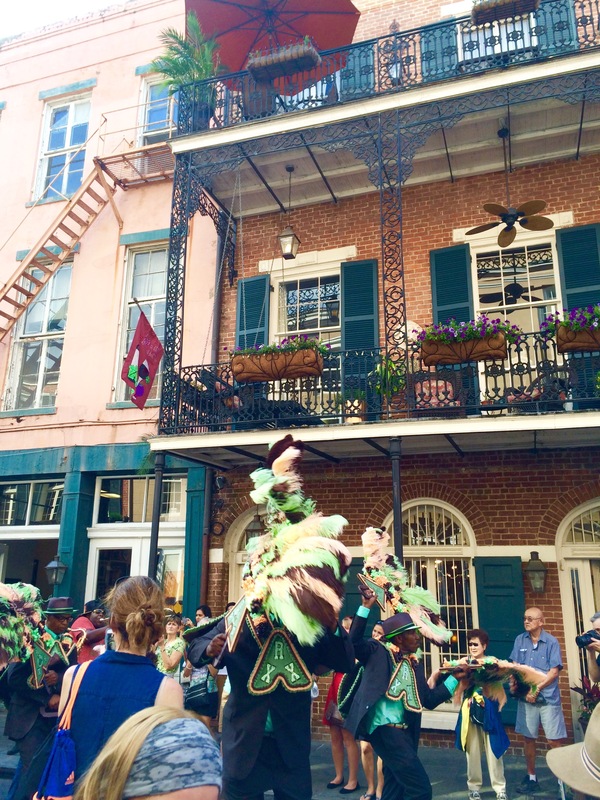 As one of my most anticipated pitstops, I thought I’d share our time in New Orleans first. We arrived on a Thursday evening and planned to spend just 24hours exploring NOLA whilst attempting to enjoy the absolute best bits as well as possible. 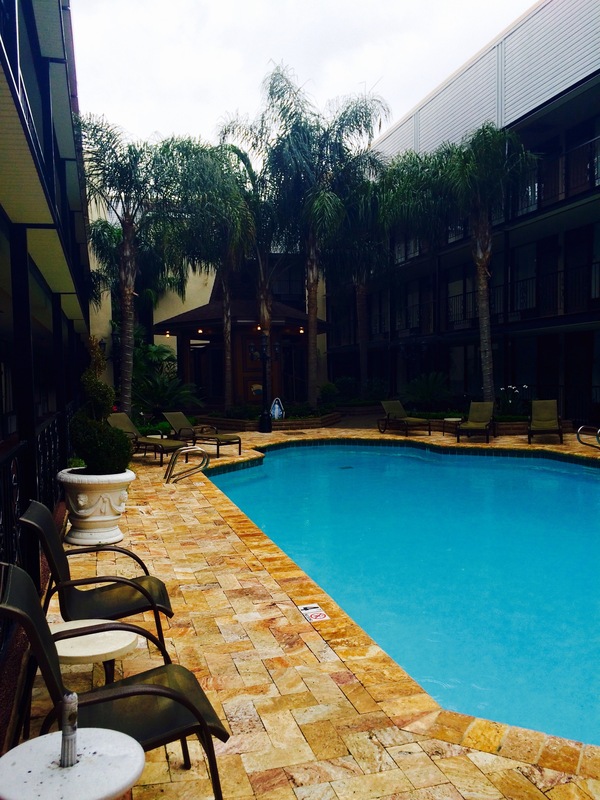 Firstly, we checked into the Best Western Harvey which is on the West Bank – about 5 miles from the French Quarter, which despite the shortish distance will cost you around $25 in a taxi. The hotel itself was absolutely gorgeous for a chain, and well worth the price we paid – it was French in style, which is pretty much what we wanted but without the French Quarter price tag. It also had a gorgeous swimming pool, however being on tornado watch prevented us from enjoying a dip, except for in the hot tub which was just outside our room! Anyway, our first stop was the French Quarter where we had looked forward to enjoying some oysters, crawfish etouffee and jambalaya, as well as some jazz and amazing accents. We got the cab from our hotel and the cabby was a jolly, friendly and informative gospel lover – he played us some real freedom songs and explained how good it felt to be full of thanks. We were off to a great start! Walking down Bourbon Street we were treated to a little ditty by a walking jazz band which was incredibly jovial and precisely what I’d hoped to encounter. They’re pictured right at the top, and captured our attention for at least 30 minutes. Even though I wouldn’t call myself a jazz fan, I found myself just desperate to dance along. After that, we’d started to get hungry, so we headed to The Royal Oyster House for… well, oysters. 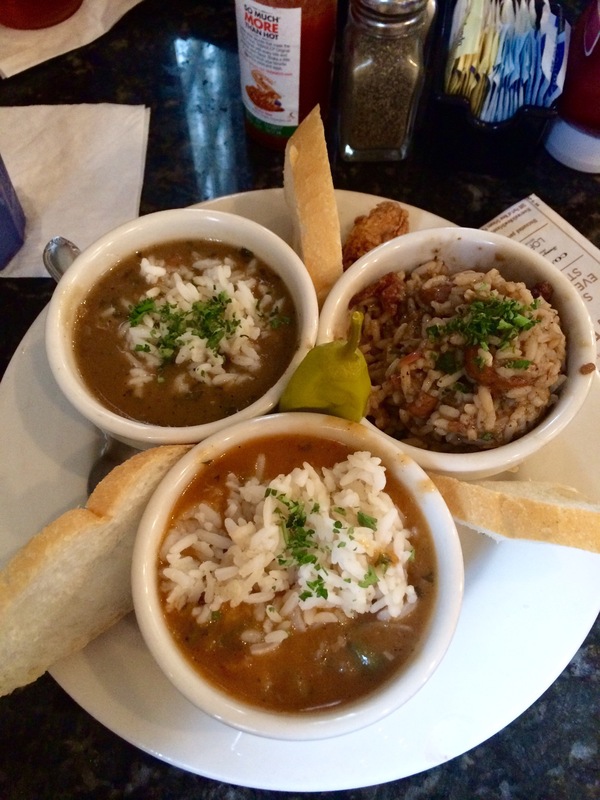 We ordered those along with the New Orleans Sampler which enabled us to speed-sample 3 of the most famous Louisiana dishes – (in picture, Clockwise from top) Jambalaya, Etouffee and Gumbo (which we’d both had previously). Let me tell you, the photo doesn’t even almost do it justice. My favourite was the Etouffee by a country mile, so you can expect a recipe up on the blog in the coming weeks. It’s probably closest to Risotto but, obviously, more cajun. Dessert was obvious – beignets – which are served almost everywhere and are intensely tasty (if you are struggling with pronunciation like I was, its “ben-yays” and its a sort of donut best enjoyed dipped into hot chocolate, or in our case, with a beer). We then took a stroll up to St Louis Cemetery, which we didn’t actually reach because we encountered a few unsavoury characters, and then didn’t feel safe – which proves our radar right, as later we were told to absolutely not head up that way in the evening. I had really wanted to see it, but apparently it’s only sensible to go with a guide. Lesson learned. Now, besides the cemetery and the voodoo, the food, jazz and history what else is there to do in New Orleans when you’re on Tornado watch? Take a swamp tour. 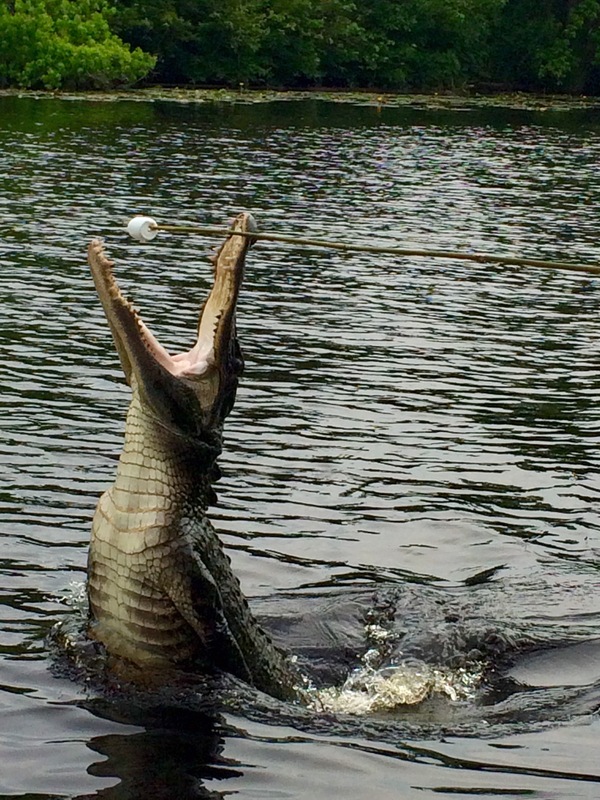 Louisiana is famous for its bayous, and I wasn’t about to drive through without exploring the famous swamplands in more detail – who in her right mind would pass up the chance to get up-close with gators, hogs and water moccasins? We booked our tour with Cajun Encounters who were just fantastic. I’ll post specifically about our experience with them in the coming weeks, but I just wanted to throw in a few photos as it was one of my favourite activities on the whole trip! 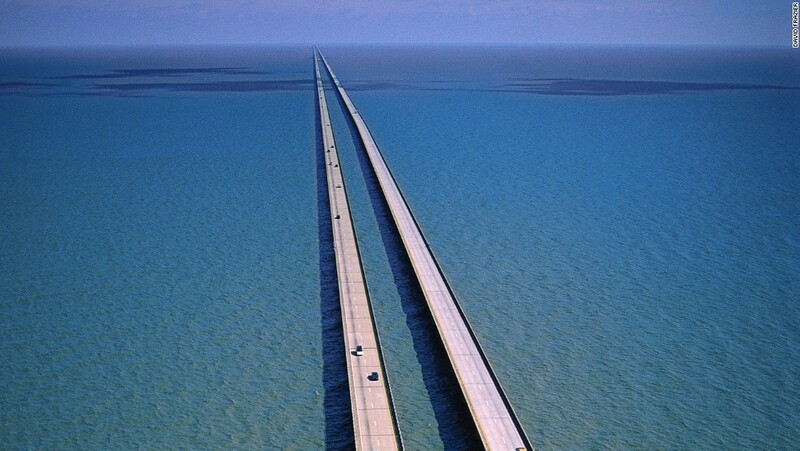 Our drive out there also took us clear across Lake Pontchartrain which is absolutely huge and impossible to picture well enough to show its enormity. Just look at this though. Sadly, by this time our New Orleans experience was just about drawing to a close. We had the chance to sit in the hotel for the evening, simultaneously watching the storms and Fox News’ tornado reports which was both exciting and petrifying in equal measure. So, would I revisit NOLA? Yes, absolutely. I don’t think I’d stay in the French Quarter, because as beautiful as it is, its very crowded and bustling, which I find tiresome after a while. I do think its a beautiful city which merits much more exploration and we’re already planning a revisit. 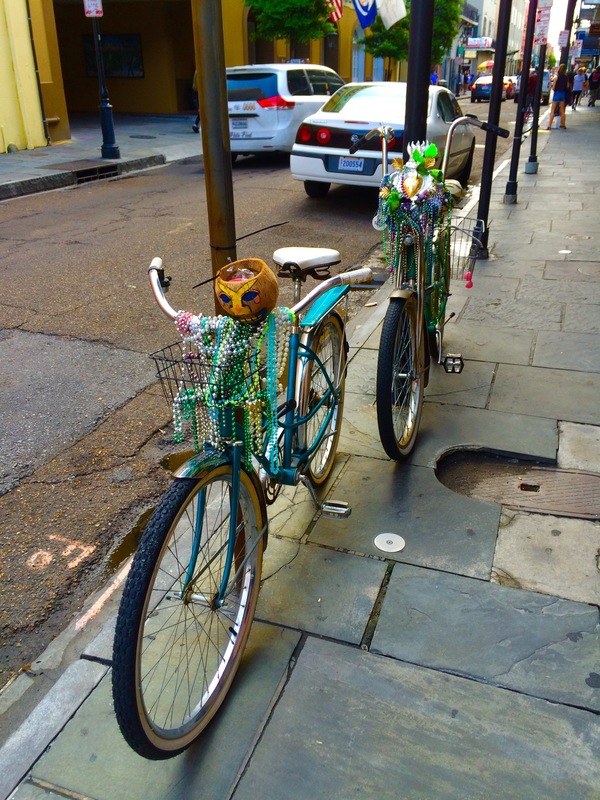 Places we missed but that are worth a visit include: Laura Plantation, Mardi Gras World and Jean Lafitte National Park. Would you be tempted? Have you visited before – if so what was your favourite? It’s so beautiful! I had always wanted to go, but it turned out to be way different than I imagined (in a good way though). The food was out of this world! I totally know what you mean about a food bucket list! I think I should have pursued a career in eating….